In Arizona, in some cases breath tests are used to determine the blood alcohol content (BAC) level of drivers suspected of driving drunk. Since alcohol is absorbed into the blood and blood flows through the lungs, alcohol is present in the lung’s air sacs. 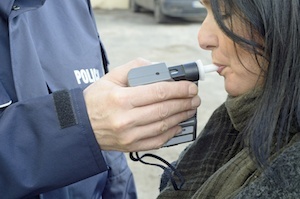 A breathalyzer works on the assumption that the concentration of alcohol in the breath is a function of the concentration of alcohol in the blood. Rather than ask drivers to submit to invasive, impractical blood or urine tests in the field, many law enforcement agency's use breath tests as a means for determining the blood alcohol level of drivers suspected of DUI in Arizona. At the Law Office of James Novak, we understand how these devices work, their limitations, and how inaccurate they can be. If you’ve been charged with an Arizona DUI and failed a breathalyzer test, contact James Novak, an experienced DUI defense lawyer and former prosecutor. Representing clients in Mesa, Tempe, Scottsdale, Phoenix, Chandler, Gilbert, and throughout Maricopa County, we provide free consultations and numerous resources for resolving DUI / DWI charges. Call (480) 413-1499 for a free consultation. The Officer Told Me to Blow Harder – Can the Test be Trusted? Despite what Arizona DUI police officers say, scientific research indicates breath tests are not as accurate or as dependable as claimed. Because they depend on the amount of alcohol in the air sacs of the lungs, variations in breathing can affect the results. For instance, deep breaths will capture air from deep in the lungs where the concentration of alcohol is greater. Likewise, short, quick breaths will capture less air from deep in the lungs, providing air less affected by the concentration of alcohol in the blood. How a person breathes into a breathalyzer can affect the results. More often than not, Arizona police officers ask suspects to take deep breaths and blow hard into a breathalyzer. Doing this may artificially inflate the results, thus leading to an inaccurate indication of one’s blood alcohol level. Secondly, a breathalyzer may not be calibrated correctly. Arizona police departments should have a maintenance record for each of their machines to indicate whether they have been properly checked and kept in good working order. What Should I do I am Asked to Take a Breathalyzer Test? If you are pulled over in Maricopa County, Arizona and asked to take a breath test, you should immediately ask to contact an attorney at the Law Office of James Novak so that you can be informed of your legal rights. If you fail the test, immediately ask the arresting officer to release you for an independent blood test, or to arrange for your independent blood test. Our DUI defense firm has represented hundreds of clients throughout the years in cases involving breath testing. Also James Novak has served as a former Arizona prosecutor in Maricopa County handling DUI & criminal cases. We understand the issues involved in breath tests, how to suppress evidence, identify improper procedures, and challenge the results of a breathalyzer test. Contact us today to learn more.